Nonsensible Shoes: Spitzer cleaner by association? Today voters in the New York City Democratic primaries have some interesting choices to make. A couple of unpalatable candidates may both not survive. But don't put it past Democrats to try to salvage at least one of the two career politicians. And don't put it past Democrats to pull something sneaky either. New York City has not a Democratic mayor in two decades. It doesn't matter to them that mayor Bloomberg acts like a nanny-state liberal Democrat, he isn't a registered Democrat so he doesn't count. Democrats only care about getting and keeping power. Actions speak louder than words, and for the party that has Blank Panthers stand outside a polling station to discourage white voters, finds ballots in the trunk of a car to push Al Franken over the finish line, wants illegal citizens and incarcerated convicts to have the vote, and isn't beyond having dead voters cast ballots, what really counts as beyond the pale? In the race for New York City mayor and comptroller there were two really high profile candidates that grabbed voter attention for the Democrat primaries - Elliot Spitzer and Anthony Weiner. Weiner of course noted for his sexting scandal was intent on making a political comeback. He's since blown that up by getting caught again, during the campaign. How stupid can one be? Really. It's almost as if this were deliberate. Spitzer on the other hand , has been noted for his hypocrisy after prosecuting with abusive abandon, all the while frequenting prostitutes. As attorney general, Mr. Spitzer pursued a self-aggrandizing crusade against Wall Street without regard for the costs to New York companies, their shareholders, or his state's position as the global capital of finance. He targeted high-profile business people and institutions on flimsy pretexts, abused his powers as prosecutor, and destroyed careers, reputations and companies through leaks to the press, rumor-mongering, and threats. 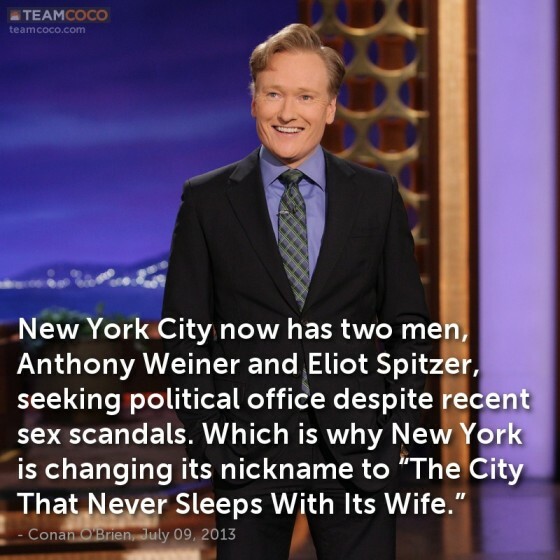 Spitzer is not in the race for mayor but his 'indiscretions' are a bit more discrete than those of Weiner. 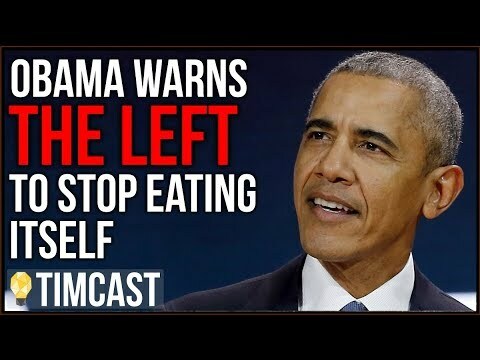 And it may be that this was the plan all along. Knowing that resurrecting two tainted political careers in the same state, even a liberal state with liberal candidates is probably an impossible task, the Democrats could easily have decided to sacrifice one for the benefit of the other. 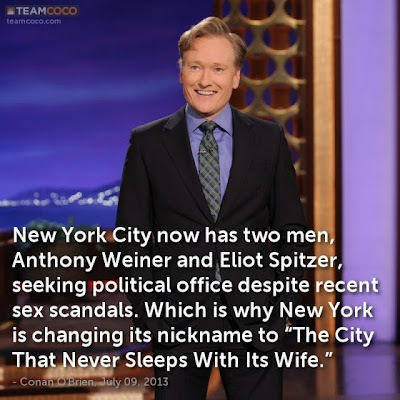 I doubt Weiner was in on it and was willing to fall on his own sword (so to speak) for the benefit of Spitzer. But it's not beyond other Democrats, certain ones in particular, to sabotage Weiner's campaign for the benefit of Spitzer and perhaps themselves. Spitzer would certainly look far less unpalatable standing next to Weiner - particularly since Weiner has clearly not learned from his mistakes and continues to commit them. Spitzer's ads have been apologetic in nature, Weiner has remained confrontational and frankly ugly. He appears beyond redemption. So redemption and forgiveness for Spitzer seems much easier by comparison. As for Democrats torpedoing Weiner, Hillary Clinton would definitely be served well by having Weiner scandals fall off the table now instead of waiting until 2015 or 2016 and having them rear their ugly head then.